Please describe your business: Certified Registered Nurse in Infusion therapy providing vascular access assessment and placement of long and short term sites for infusion therapy. Includes placement of PICC, PIC, Midlines and peripherial lines and their maintainence and troubleshooting, as well as refills, programming and troubleshooting of Medtronic implanted pumps. Education provided on Needlestick prevention, CPR for professionals, Vascular access devices, vascular access device maintenence and troubleshooting to all size groups. Contact me to select the best line for your patient or help you learn how to choose the best device for your patient. Consulting for legal cases also available. What specific qualities and traits do you feel make nurses especially qualified to operate a business? : Nurses are inately organized. They have a "take charge" attitude, and find creative ways to get things done without a second thought. This is important in any type of business. Where do you work? : Independently placing VADs in LTC facilities. Your most pressing concerns with the profession and healthcare: Too many un or under insured members of society. People do not have the access they need for quality healthcare. What may be even more of a problem is those who are insured cannot navagate the system to obtain what they need in a timely manner. The combination of these things is what leads to overcrowded Emergency rooms and sub quality care due to overworked staff. People who are un or under insured use the ER as a walk in clinic because they cannot afford a doctor visit, and those that do have insurance wait or get caught up in the system until their condition needs emergent care. Nursingentrepreneurs.com is a networking and resource directory for Nurse-Owned businesses and nurses looking for an alternative to working at the bedside. If you explore the site a bit, you'll find profiles of hundreds of nurse entrepreneurs around the country. We encourage you to browse around, find a business category you are interested in, then contact the nurse directly. We're available for questions as well. This website is Owned-Operated by Andrew Lopez, RN a Medical/Surgical/Telemetry nurse. Has your Nurse-owned business been written up in the news? Do you send out a newsletter or regular press releases? We'd like to hear about it! Should You Incorporate Your Registry Business? By Joseph Caracci, RN:"The short answer is yes! When starting a new nurse registry business, you are entering into a legal business environment that requires you to take steps to protect your personal assets, such as your home, your savings, and your retirement. With this in mind, you need to determine which legal form you are going to take for your new registry. Some of the common choices are a sole proprietorship, a partnership, a limited liability partnership (LLP), a limited liability company (LLC), and a corporation." 1. Register for the directory (Includes website, business cards, etc). 25 businesses you can start and run from home. :'Here are a variety of businesses that you can start and operate from the comfort of your home." Affiliate Programs: Make Money From Any Type of Website! Here we link you with advertisers ready to pay you for hosting their links. If you're not sure which type of program would work best on your site, we'll review it and make some suggestions. Are You Making Any of These 10 Deadly Small Biz Mistakes? Franchise Opportunities: Allow you to purchase a business with an established name, product or service building on a reputation they have already established. Turn Your Knowledge & Experience Into Revenue! If you're just starting out a business and are not sure how to go about it, feel free to give us a call or send us an E-mail. If you have a lot of questions, we'd suggest getting a cell phone with lots of national minutes (smile). If you don't see a category or state your business belongs in, we'll create it! Nurse Entrepreneurs: Tales of Nurses in Business:"This book is vey inspiring! Learn how 50 different nurses brought their vision to reality! Learn some great tips on starting your own business. 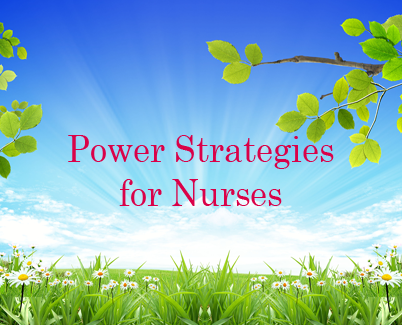 Nurses don't have to just work at the bedside. Read this book and you will be thinking of how you can make your dream a reality!"